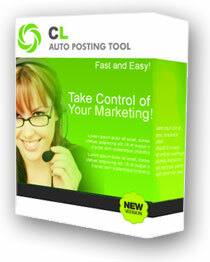 Craigslist Auto Poster, Posting Software, CL Auto Posting Tool - Automate your Craigslist™ postings! Automatic ad poster for Craigslist. Craigslist automatic posting software! CLAPoster.com now offers a premiere affiliate program designed to handsomely reward you for every person you refer to us. We offer a generous 15% commission on all purchases sent to us from you and all recurring monthly payments. The average order size is $35 per user. 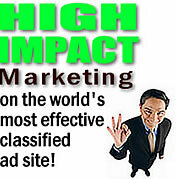 Based on the 15% commission rate you will receive $5.25 every month simply by sending customers our way! **NOTE** You may not promote our products directly on craigslist. We will end your affiliation if you are doing this. You also may not use our affiliate program to simply get a discount on our software. If caught doing so your affiliation will be ended.